Ministry for Women, Children and Poverty Alleviation is tasked with creating a more sustainable market for women artisans to sell and promote their products. This was highlighted by Minister for Women, Children and Poverty Alleviation Mereseini Vuniwaqa while speaking to women’s groups in Cakaudrove recently. 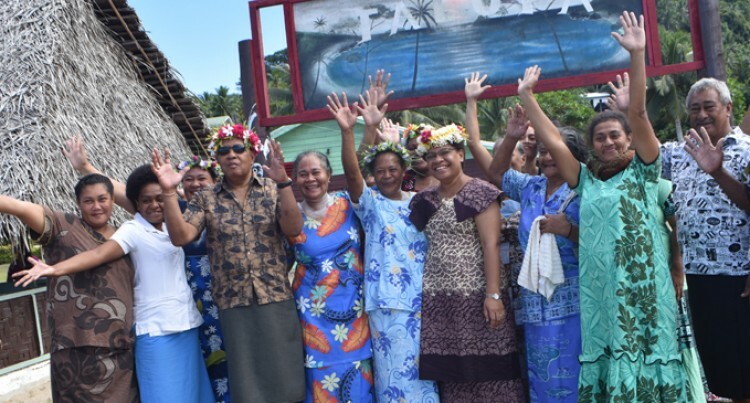 Mrs Vuniwaqa made the statement after the Cakaudrove Women’s Group voiced their grievances following the absence of a market to financially empower them; delaying their business plans. Kioa Island Women’s Association Greet Luisa said there was a need to market their products. “This is a good opportunity to inform the Government team about our needs, especially having a market for our women to sell handicraft items,” Ms Luisa said. “The women of Kioa are very talented but the absence of a market is a problem for us,” she said. Rabi Women’s President Evetebate Emoka believes that supporting women entrepreneurs in Fiji was vital for economic growth. “The role of women entrepreneurs is crucial, for the development and the revitalisation of the households, communities and nation as a whole,” Ms Emoka said. “Vessels do visit our island with tourists in it, however, what is made from these visits are not enough to put food on the table. “The women of Rabi are very talented but the absence of a market is a problem for us,” she said. Mrs Vuniwaqa said in the last decade, women were key performers in the effort to alleviate poverty. “Speaking of the economy is also talking about women, because, women are agents of development needed in economic development,” she said. “The empowerment of women in the economic field is one indicator of increasing welfare. “It’s a challenge that will be a key focus for my ministry has been facing for the past five years. “Fiji’s National Gender Policy awareness is progressively undertaken across Government to ensure women’s issues and concerns are mainstreamed into various policies and programmes, “she said. She added in 2014, 1516 women earned $133,152 while 570 women generated $314,133.20 in 2015. Last year 475 women who took part earned a total of $402,469.35 while 340 artisans collected $430,244.40 this year. She said household welfare improved as women gained access to education, property rights, freedom to work in the public sphere, and had independent incomes. She said Sustainable Development (SDG) Goal Five stated gender equality and global development failed when Goal Five was not achieved. “Goal Five consists of the elimination of discrimination against women, violence against women and children, fulfilment of reproductive rights. “The appreciation of unpaid household work, women’s participation in politics and decision making, land rights ownership reformation and technology utilization encompasses these. “However, not only with the fifth goal women and girls are clearly stipulated, but also in every goal. “Women are embedded and the measures of the achievement of SDGs should be able to show how women and men have developed and reached their welfare goals,” she said.